A SEO’s business card generally elicits one of two possible responses. Most often, eyes roll up and to the right as they conduct a mental search for the acronym that returns 0 results. SEO? But, occasionally, the card is greeted by jackpot eyes: a look of pleasant surprise as neurons in the brain fire to organize a list of questions that will take their business or blog to the top of the search engine results page. “So, what’s new in the SEO world these days?” they ask, trying to appear casual as the business card flips in their anxious fingers. Link building is certainly a popular SEO topic this summer, I say. It’s receiving plenty of attention, even from unlikely sources. 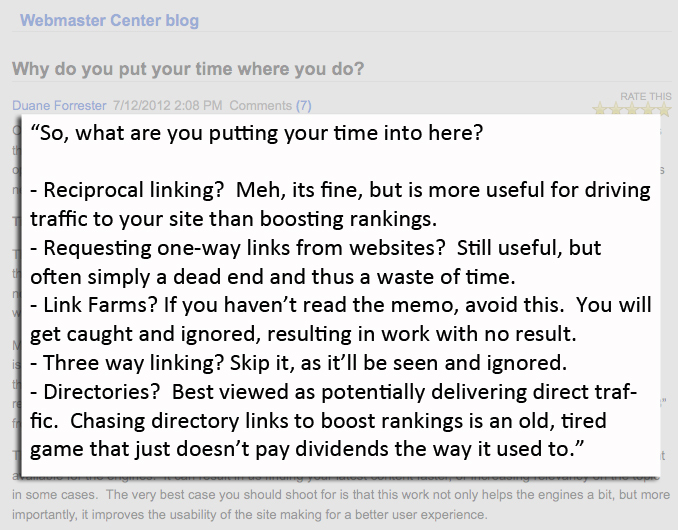 All four articles on Bing Webmaster Center blog between July 12 and August 2 discussed link building. More interestingly, each of them said a lot without actually promising anything. It’s true. Link building was popular on SEOmoz Blog the past few months. Search Engine Land covered it. Heck, Google and Bing both introduced tools to manage link campaigns gone astray. 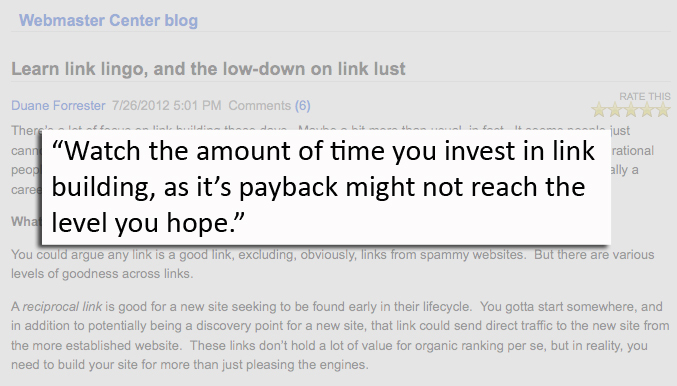 Compare that “link lust” to Bing’s overview of link types. Reciprocal linking got a “Meh” rating. That’s the Pittsburgh SEO equivalent to winning free indoor football tickets. “Hey, man, a co-worker just gave me two lower level seats to the Pittsburgh Power game tonight.” Meh. The fate of links as a key influencer in search engine ranking is not in immediate danger, but the rhetoric suggests that their long term weight in the algorithm might be diluted. 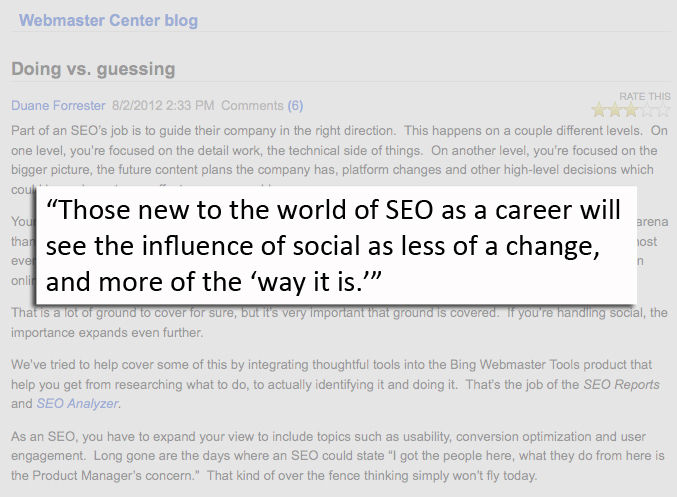 So, what should young SEOs brush up on to ensure a long career? No, stop it! It can’t be! Anything but SOCIAL MEDIA! As you might remember from Reid Bandremer’s post about Bing SEO tools in June, this is the year of social + search. Google launched Search plus Your World in January and Bing raised the bar with its Social Sidebar in May. Search engines continue to prioritize the social component in search. As SEOs, it’s our responsibility to adapt, even if it means social media training this summer. 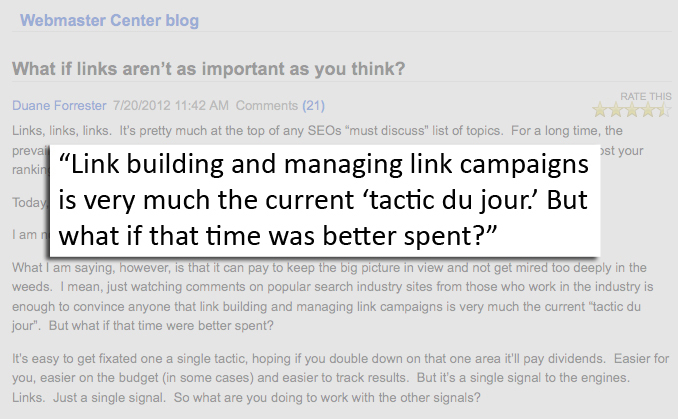 How would Bing answer the question about what’s new in SEO this year? Their response to link building shouldn’t surprise you. Interested in resources for learning SEO? Check out a recent LunaTV episode about SEO for Beginners. You can also use my Protopage, which is what I read each morning to stay up-to-date on industry news.